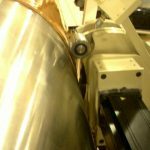 Motor Technology, of Stockport, have designed and installed a bespoke servo solution to provide the power, speed and pinpoint accuracy for the manufacture of a high-tech product for the paper making industry. The application, at Albany International, required an 8kW servomotor operating at speeds of up to 7,500rpm powering an ultra precise cutting head some 150mm in diameter. The cutting head had to cut an extremely precise profile into material, known as ‘paper machine clothing,’ which is used to cover the huge rollers of paper making machines. 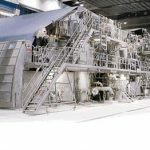 Paper machine clothing is essentially a high-tech, engineered fabric that plays a crucial role in the forming and drying of paper during its manufacture from pulp. The cutting head, and the motor that powers it, traverse a 12 meter wide roller, a bit like the print head on an ink jet printer with the motor and cutting head secured to a traversable carriage. The motor is 142mm square and 420mm long, and is attached to the cutting head via a coupling. The exact details of the profiling are secret but it was critical that the speed of the cutter didn’t fluctuate by more than one percent during a process that takes between two and three hours. Any fluctuation in speed would irreparably damage the product, and, at a cost of around £150,000 a time there was no margin for error. To control cost Motor Technology’s engineers designed a modified version of a standard servomotor with, amongst other things, armature magnets wrapped in carbon fibre and an air purge inlet to allow cold air to be pumped in to the motor for cooling. On start up it sounded a bit like a jet engine but performed perfectly with speed fluctuations exceeding no more than 0.7 percent during testing. 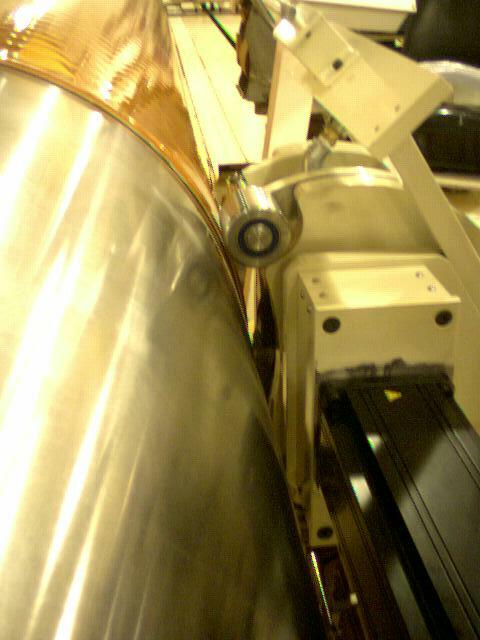 The drive electronics were also supplied by Motor Technology and installed in cabinets approximately 10 metres away from the machine and connected via underground cabling.